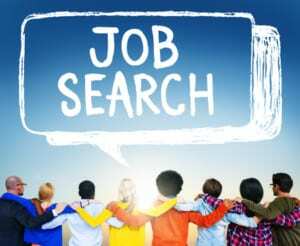 A job search in the local roofing industry, for high principled Colorado Springs roofing companies, can prove to be quite fruitful, as long as you know what you want and where to look for it. There are currently hundreds of dedicated roofers looking for good workers in Denver and many other locations throughout Colorado. So, you’ll find there’s no shortage of demand here. Know your skills and talents. What is your experience and expertise in roofing? What do you want to achieve? Are you more interested in preparing concrete, installing flashing, upgrading roofing systems or customizing roofing products for a unique look? There are countless possibilities in Colorado. Think of other criteria, such as the area where you’d like to work, the benefits you want, the salary you’re looking for and the type of roofing company you’d be interested to work for. Look for available job openings based on the criteria mentioned above. Send your resume, along with references and a cover letter informing each company of the unique contributions you can bring to their success. If you also do a quick background check on each company, and you know a few basics about their mission and goals, you’ll find that completing all these steps will be easy. Now it won’t be long before your phone starts ringing and you have to prepare yourself for several job interviews.